Science has told us that sleep related disorders such as sleep apnea are associated with depression, ADHD, PTSD, obesity, and other conditions. But what if these sleep disorders are not merely a symptom of these other conditions, but rather a cause of them? In part 2 of a series on sleep with Dr. Shane Creado, Dr. Daniel Amen and Tana Amen discuss the importance of doing a sleep study to see if a common sleep related disorder such as sleep apnea may be causing your conditions. Dr. Daniel Amen:	And what it really was, was untreated, undiagnosed, or diagnosed and untreated very common sleep apnea. It gives you an oxygen debt state that really murders brain cells. Tana Amen:	I have a question. When people are sleep deprived, Dr. Creado, do you see that that can actually exacerbate or magnify underlying psychiatric issues dramatically? Dr Shane Creado:	Oh, definitely. Definitely. It goes to every single psychiatric disorder. It goes to PTSD, to anxiety disorders, to depression, to schizophrenia and cognitive impairments. When we think about sleep deprivation and associated factors like sleep apnea, I chose to do sleep medicine training because really I felt our psychiatric training didn't really equip us to understand comorbid insomnia and sleep issues. The reason I say comorbid is because in modern sleep medicine, we don't associate it as primary or secondary insomnia, for example. If the sleep issue is corrected, it improves the mood disorder, and vice versa. They need to be tackled individually. So, in people with PTSD, anxiety disorders, there's an increased risk of central sleep apnea, where their brain triggers the muscles to stop breathing because they're hyperventilating all the time. Dr. Daniel Amen:	That's actually very important. We don't have much time, and I want to talk about sleep apnea and restless leg. Children who have ADHD who snore that, they actually may have sleep apnea, that is the primary cause of their ADHD symptoms. Dr Shane Creado:	Oh yes. Dr. Daniel Amen:	And missing that, these are kids that do not respond well to stimulants. You're really doing them a huge disservice, and correct me if I'm wrong, the idea I had in my head, when I was young, there was a lot of tonsils and adenoids that were taken out. They basically stopped that process. When you have large tonsils or large adenoids, what happens is you can't breathe properly, you end up with sleep apnea, and now you have learning problems and you're on medicine for ADHD. Dr Shane Creado:	You are so right. You are so right about that. I saw that in our practice with child and adolescent psychiatry. A lot of kids are put on stimulant medications because they have concentration problems. They're falling asleep. They're bouncing around. There are behavioral issues. Sleep apnea manifests very different in kids. There'll be irritability. They'll be cranky. They'll be causing trouble. They won't be able to do their homework. They're assumed to be problematic children. They're put on medication for behavior issues. It's horrible. We need to figure out if they're having sleep apnea and how to correct it. And you're right, a simple strategy is we do a sleep study in a lab, figure out if they stop breathing, treat the obstruction. If the kids have big tonsils or adenoids, those need to be out. Then you need to do a follow-up sleep study in a few weeks to figure out if the issue is resolved or not. Tana Amen:	Yeah, that's so interesting. It's common sense that we think of if you have a psychiatric issue that it would affect your sleep, but we don't necessarily automatically think that sleep causes these other problems. Dr. Daniel Amen:	Isn't that interesting? What are the major symptoms of sleep apnea? When should someone suspect it? Dr Shane Creado:	Well, sleep apnea simply means a pause of breathing while you're asleep. The most common type is obstructive sleep apnea where airway closes off and periodically during the course of the night, you stop breathing. So, obviously symptoms might be snoring, which is primarily while you're breathing in. It's caused by vibration of the soft palette and the uvula. You may have morning headaches because your brain has been deprived of oxygen, or dry mouth. You may have high blood pressure. You may feel sleepy during the day because you're sleep deprived. Drowsy driving is deadly. 6400 fatal accidents in the US alone because of drowsy driving. Of course, if you have a thick neck, generally more than 16 inches, if you're a male you have double the risk of developing obstructive sleep apnea. Unless you're a female who's in menopause, and then there's an equal incidence over there. These are the important things we need to look for. If someone meets those criteria, it's worth getting a sleep study done to make sure they don't have sleep apnea. There's a 20% concordance between sleep apnea and depression, which is huge. We always ask people about thyroid problems and depression. How often do we ask a few questions like pauses in breathing? Of course, your partner will have to tell you that. Honey, I saw you, you stopped breathing for a few minutes last night. I was terrified. Some partners may be fine with that, in that case. Tana Amen:	I actually helped you. Dr Shane Creado:	So, there are some tell tale signs there, and they need to be investigated further because sleep apnea can be deadly. The way we think about sleep apnea is how bad is it. We talk about the number of times someone stopped breathing at night. If you stop breathing 5 to 15 times per hour it's considered mild, 15 to 30 times per hour it's considered moderate, and if you stop breathing more than 30 times per hour during the course of the night it's considered severe sleep apnea. But that's very simplistic because what if you're stopping breathing 10 times per hour, so called mild sleep apnea, but those pauses are several minutes each, or you're having severe dips in your oxygen? That's dangerous. Tana Amen:	Yeah, that sounds crazy. Dr. Daniel Amen:	Now, I have had so many patients diagnosed with sleep apnea. They tried the CPAP for three nights. Tana Amen:	They hate it. 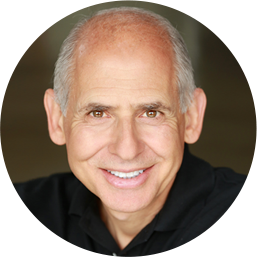 Dr. Daniel Amen:	They hate it, and they just ignore it. I did a YPO retreat where eight YPO members, that's young president's organization, members from Philadelphia came to our California clinic. I scanned them all. Then as a group, I talked about each of their brains. I remember this one guy, he was diagnosed three years ago. His brain looked awful. He's like, "Well I was gonna get around to it, but I don't like it." I just really got after him about, you're murdering brain cells every night that you're not taking care of this problem. If someone is having trouble getting used to the treatment, what do you do? Dr Shane Creado:	There are many treatments. People always think, "Oh no. I don't want to be tested because you're gonna force me to wear a CPAP," but there's many more options. The first thing is weight loss. In fact, if someone loses more than 10% of their body weight, we should retest them to look and see whether their sleep apnea still needs to be treated with CPAP. Tana Amen:	You stopped snoring after you lost weight. Now you rarely snore. Tana Amen:	No, thank you. 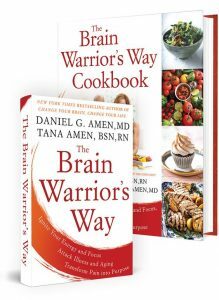 Dr. Daniel Amen:	Now the whole world knows this. Tana Amen:	Yeah, no. Thank you. You're the one who tells everybody you lost 20 pounds. It affected your snoring. Yeah. Dr Shane Creado:	Absolutely. See, if you lose weight, you're not gonna be having disrupted sleep. Your [Malectin 00:09:18] is not gonna be driven down. You're not gonna be feeling hungry all the time. It's a positive feedback cycle over there. So, weight loss is key. Then when you've done the sleep study, some people just have really bad sleep apnea on their back while they're in their supine position, or when they've had alcohol at night, then they snore more, or when they've had a muscle relaxing medication or Valium, Benzodiazepines. Then it's best to change the medication, or even simply sleep on your side. That's an effective strategy for many people. Dr. Daniel Amen:	Oh, how interesting. That is so interesting. All right. We're gonna have to stop because I have just ... As I'm sitting here talking to you, I want to talk quickly about restless leg syndrome, but then I really want you to talk to our group about dreams. Tana Amen:	Oh yeah, that's so interesting. 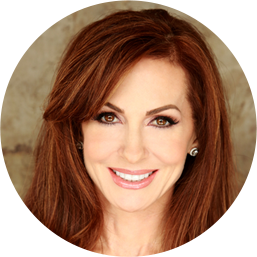 Dr. Daniel Amen:	Why we dream, what it means. I just think, as two psychiatrists talking ... Freud said it was the royal road to the unconscious. Is that complete nonsense? What are your thoughts? Stay with us.